In recent years, many food outlets claiming to sell restaurant quality western food at coffeeshop prices have sprung up in the heartlands across Singapore. Think Aston's and Botak Jones. Western Chow is the latest contender to have jumped on the bandwagon. 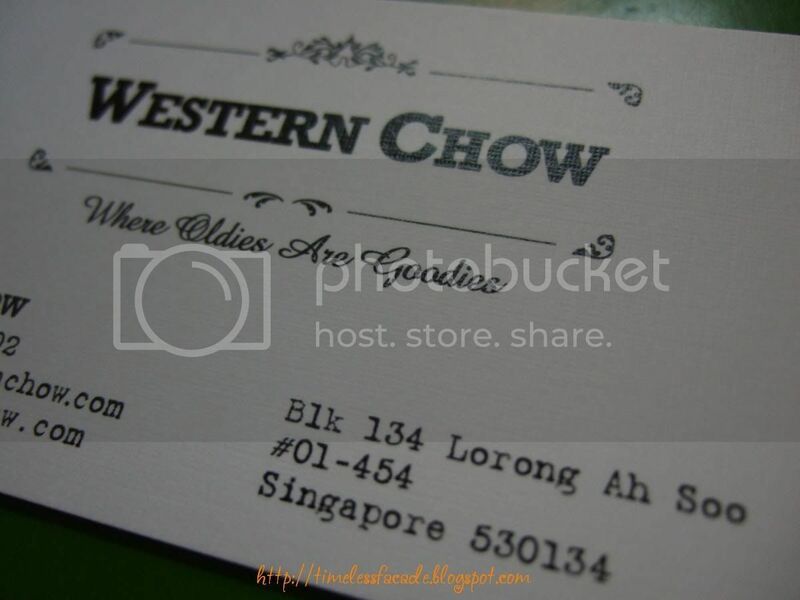 Opened just barely two weeks ago, Western Chow is hidden at the corner of a secluded coffeeshop just off Lorong Ah Soo. The system of ordering is simple. 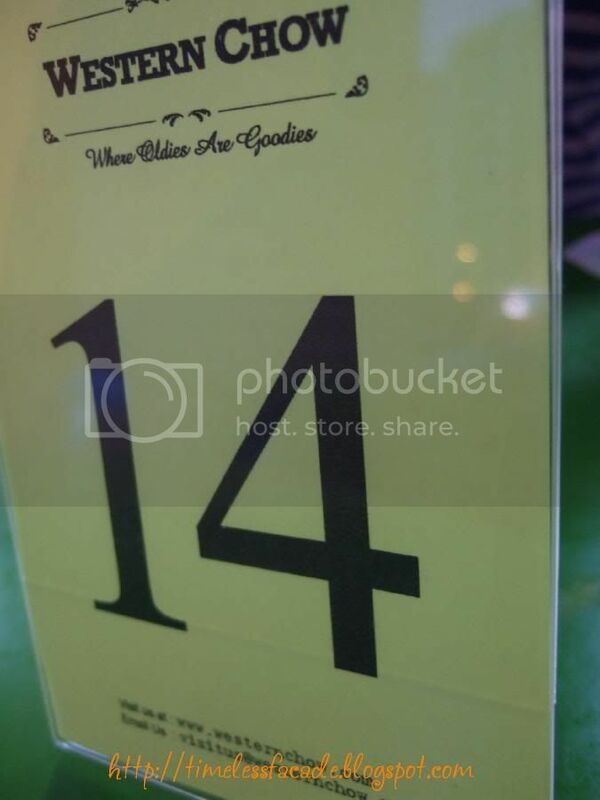 You make your order at the counter, pay up and you will receive an order number (as shown in the picture above). Take the number and sit anywhere you want and you will be served shortly. I had my ribeye medium rare and it came looking a shade of red, indicating its over doneness. That aside, the beef was way too soft, hinting of a possible use of tenderizer or "Peng Seh" as my parents term it. 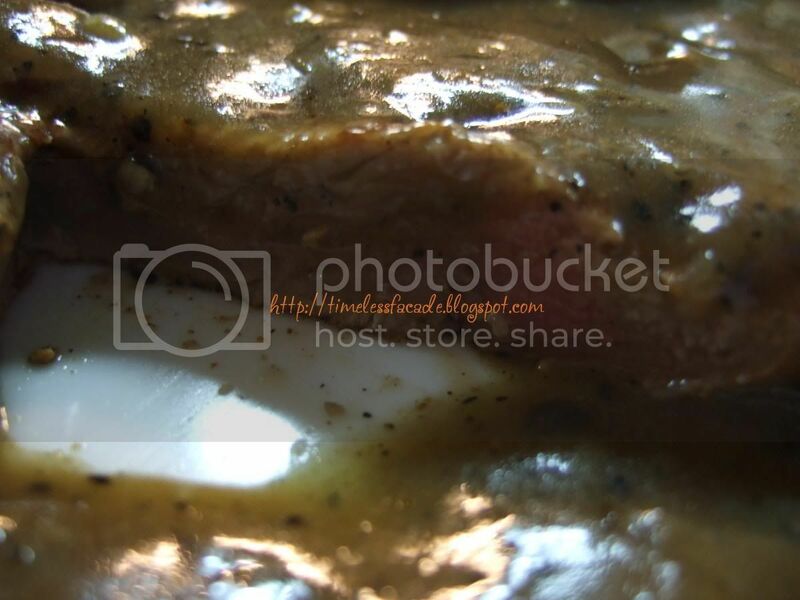 The beef had no bite whatsoever and no natural beef taste, masked by the overpowering black pepper sauce. Its really a sheer waste of such a good cut of beef. 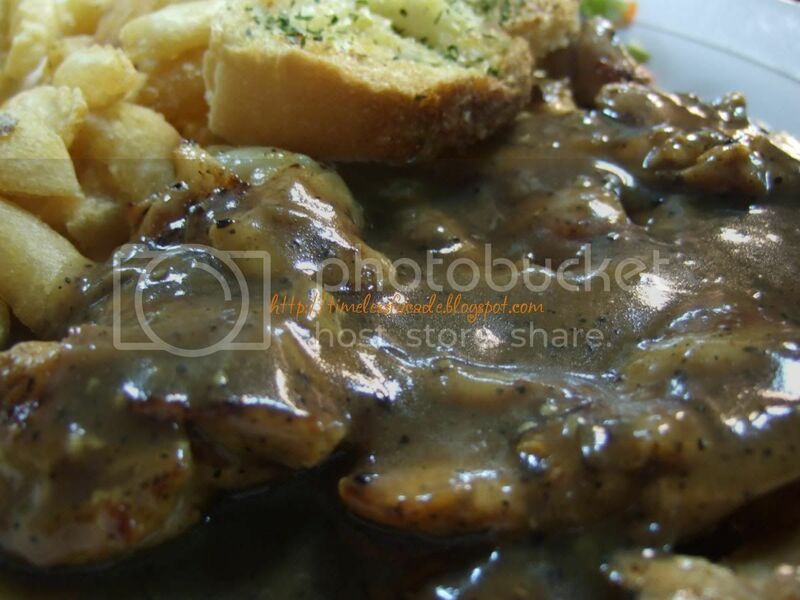 As with the ribeye steak, the chicken chop was soft and a didn't really hold up to much chewing. I liked the sauce though, BBQ square with a dash of pepper. Having said that, the sauce alone wasn't enough to salvage the chicken chop. A pity really. The 3 of us spent $33.80 in total, which was relatively expensive given the below average quality of food. To give them credit, all of the staff were very friendly. I certainly hope they will do something about it before they start losing customers. Oh and if you do ever patronise, please sit along the fringes of the coffeeshop or risk smelling like cooked food when you are done due to the fumes from the Char Kway Teow stall. 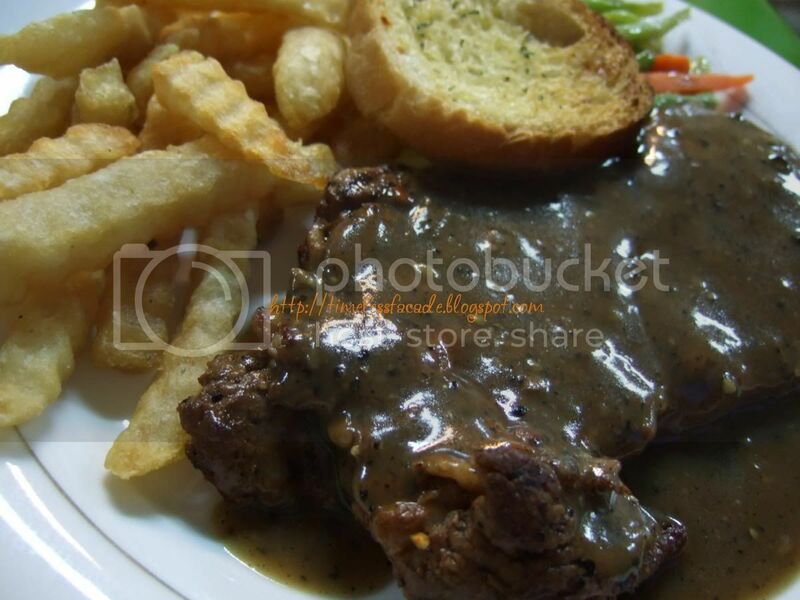 I agree that the ribeye steak is abit costly for coffeeshop area. I had medium for my steak & it was done perfectly. Likewise, I felt that it was no way the meat could be so tender unless they add tenderizer. So I asked the service crew boldly. I was told that they DO NOT add any tenderizer. It is so costly because the Ribeye & Sirloin are both NZ Air-Chilled. The service crew assured me that if anythiing not done to my satisfaction, I am able to request for a change. Although they are situated in a coffeeshop, but personally, I think their human relationship is very good, better than some restaurants. That's why I will feedback to them about my opinion. I was also told to call the contact on the namecard given, Fabian Chiow @ 8188 1901 for any clarification. Well, always give people the benefit of doubts. Feeback to them & not just criticize. And also the taste might not be suitable to your family & yourself but it may be well acceptable to others. Hello! thank you for your comments!First of all, why the anonymous tag? Secondly, no need to sound defensive right? As for the tenderizer issue, they tell you that they don't add tenderizer and you believe them? Come on, I'll be naive not to take it with a pinch of salt. Same goes for your comment here cause god knows who you are. Feedback wise, they didn't approach me to ask so why should I bother going to them? I certainly don't owe them anything. Lastly, this happens to be my blog and surely I'm entitled to post my views on the food here? I've an equal right to post what I think in forums too, no? 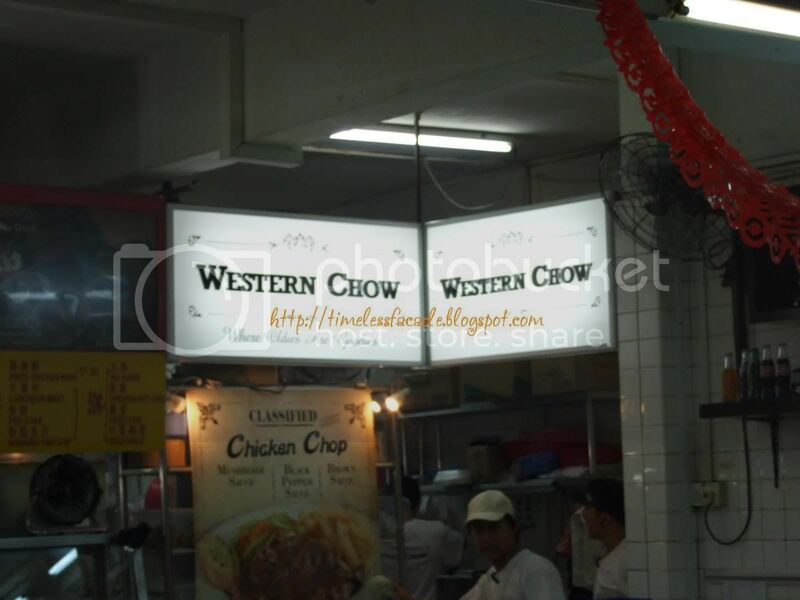 Lastly, I have nothing against western chow. Its just my honest opinion on the food in relation to the good things that "a few individuals" have been promoting.